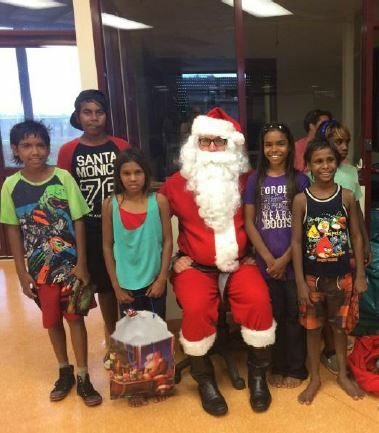 Find out what’s happening at Ningkuwum-Ngamayuwu (Halls Creek Children & Family Centre) READ BELOW: Ningkuwum-Ngamayuwu Newsletter- January 2015. PART A Ningkuwum-Ngamayuwu Newsletter – January 2015. PART B Read More. HIPPY enrolments open for 2015! Would you like to spend more time with your child learning and having fun? Interested in having your child start school confidently, and wanting to connect with other local families? Then HIPPY might be the program FOR YOU!! We are currently taking new enrolments for 2015 and have 25 new places to fill. Your child needs to be 4 years old and starting Kindergarten in 2015. To find out more about HIPPY contact the Kununurra HIPPY Coordinator, Liz Cox, on: Mobile: 0456783859 Landline: (08) 9168 2839 Email: Elizabeth.Cox@wunan.org.au Or drop in for a visit to: Lot 706 Pindan Avenue— (Old Community Kindergarten with the yellow shade sails) The Brotherhood of St Laurence is licensed to operate HIPPY in Australia HIPPY East Kimberley is funded by the Australian Government Department of Education through the Home Interaction Program for Parents and Youngsters. Read More. Mother of three, I’ve lived in Kununurra most of my life and also spent time in the West Kimberley and other parts of Australia growing up. I’m Gooniyandi from my Mother’s side and Ngarringman from my maternal Grandfather’s side with lots of family in Victoria. My family is quite multicultural with both Philippine and Javanese brothers and sister. I’ve been with Jawun for around three months as Regional Director and I’m thoroughly enjoying the role. My role involves working with Jawun’s corporate and government partners to assist local Aboriginal organisations to increase capacity and capabilities. Jawun’s placed-based approach sees partners ‘second’ or ‘lend’ some of their best people to the East Kimberley to work on projects for six weeks at a time. My role is rewarding and I love that I get to work with the Wunan team and meet lots of new people from different backgrounds, who are really […] Read More. Spotlight on Wunan Staff: Brenda Garstone, Regional Co-ordinator Empowered Communities. Brenda Garstone is Jaru woman who grew up in Halls Creek which is located on the edge of the Great Sandy Desert in Western Australia. Brenda Garstone is married with four children and has resided in Kununurra for the past 8 years. Brenda completed primary school in Halls Creek and attended high school in Perth. She Graduated at University of Western Australia, Perth with a Bachelor of Arts Degree -Double Major in Anthropology and History and minor in Political Science. Brenda is now currently undertaking further studies to complete a dual diploma in business administration and management. Brenda has worked in Aboriginal Health, Indigenous Women’s issues and Child Protection over the past 20 years. Her work experience includes community development, regional coordination of service delivery, project management, policy and program development. Brenda enjoys camping with family and friends. 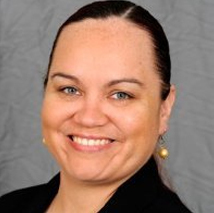 Her passion is to see Aboriginal people become self-determined and become empowered […] Read More. 15 new Transitional Homes are being built in Halls Creek! Work is well under way with the first eight houses almost finished and the other seven anticipated to be built in February 2015. We have currently had two community meetings which have gone well and the induction process for future tenants has begun; a process that has been very rewarding for all involved. The WA Department of Housing and Community Housing Limited have worked in partnership with us through this process as the same model that has been so successful in Kununurra is replicated. The Halls Creek community are very excited by the project and the opportunity for some to significantly improve their housing arrangements while working toward their long term objectives of home ownership. Wunan will soon start recruiting support staff. An additional 60 Transitional Homes are also in development in the West Kimberley; 20 in Derby and 40 […] Read More. East Kimberley Job Pathways (EKJP) is a joint venture between Wunan and East Kimberley CDEP. EKJP operates the Remote Jobs and Communities Program (RJCP) and we have previously reported the challenges of getting the business up and running and the program implemented. However 18 months on, the organisation is well established and starting to deliver the results envisaged. A representative of Prime Minister & Cabinet recently met with the EKJP Board and reported that EKJP’s performance was above average, that compliance was robust, and the organisation was well run.This was a strong endorsement for CEO Sandra Mitchell who is, sadly, moving on; to be replaced by Trevor Halamicek who is charged with taking EKJP to the next level. While the RJCP has its challenges , Wunan is focussed on delivering real outcomes on the ground; engaging with, upskilling and encouraging people into permanent employment and driving toward a reduction in […] Read More.